Sir Winston Churchill, Virginia Woolf, Thomas Jefferson, and Benjamin Franklin. What does the group have in common, other than being particularly famous? They all used standing desks while working! These historical figures were well ahead of a new trend for the modern workforce to ditch the chair and stand up. 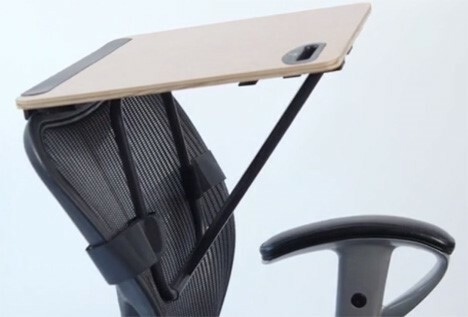 More and more reports and news articles are covering the “sitting epidemic” in today’s offices. Humans have evolved over millennia to be mobile, active, and upright but instead we find ourselves seated and stationary for the majority of our days, either at the desk, at work, or on the couch at home. The medical and public health communities are asking people to find ways to stand up, move around, take the stairs, and walk to your colleague’s office rather than email them from 50 feet away. In fact, Smithsonian magazine covered the topic just last year. I’ve been using a standing desk for the last three years, and I can’t imagine going back to sitting all day. I built the contraption with my father, a pretty handy guy, out of some leftover bamboo flooring he used during a kitchen remodel. I drew up the design and dimensions I wanted and we got to work in his woodshop… standing, of course! Flat shoes and a squishy mat are your best friends. You actually look forward to meetings, because they give you the “excuse” to sit down! 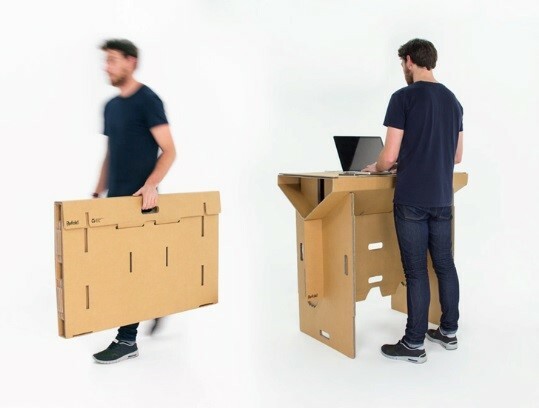 It brings a whole new meaning to “Think on Your Feet”… you’ll be surprised how much more creative, productive, and efficient you can be while standing than sitting. Every day requires a little adjusting of height levels, screen angle,s and standing positions but it is part of the fun and helps prevent any strain and injury. Why stand when you can walk in a giant circle all day? 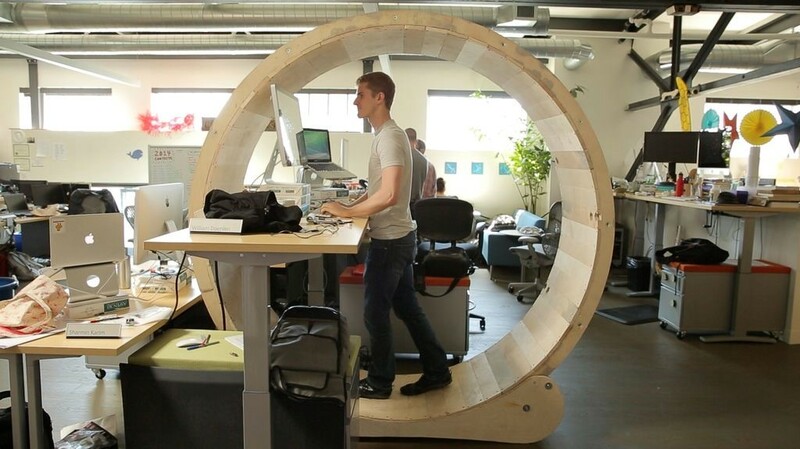 The Hamster Wheel Standing Desk. There is an option for everyone and lots of different ways to try standing up. 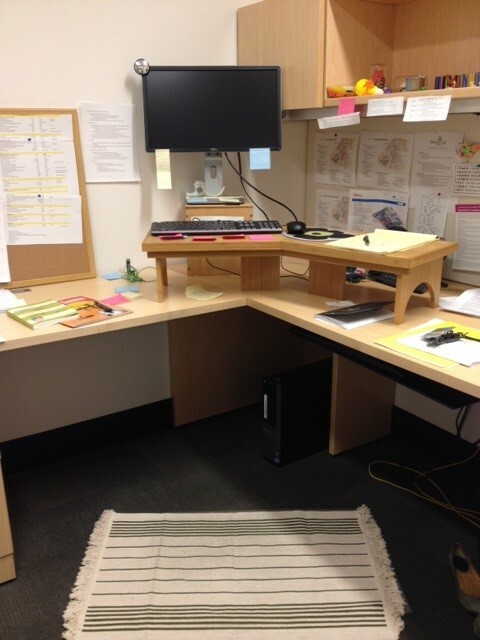 Think like an inventor and try making a standing desk using just what you have a home. Find out what other models are on the market and what your specific needs are, then sketch out a plan! Try a prototype and make tweaks and changes as you adjust to the new perspective. You never know, if it worked for Jefferson and Franklin… it could work for you!